In order to pass marijuana test, you should first detox your body. You know that when you use drugs, it gets deposited in your body. 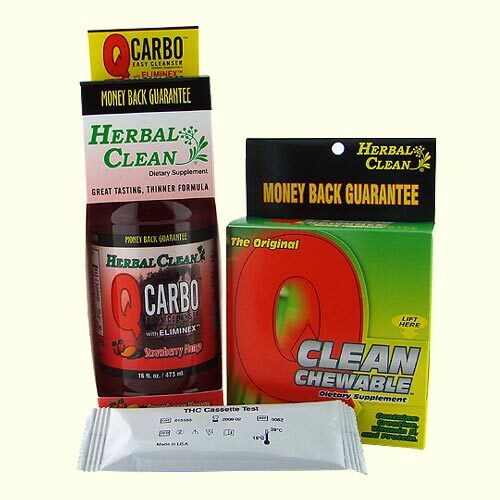 So, to pass a drug test you must cleanse your body. You should also be aware of marijuana detection times. Marijuana detection times for different tests are different. If it is a urine test then marijuana use can be detected up to 3 to 7 days in case of moderate users and up to 30 days in case of heavy users of marijuana and users with high body fat. If you are going for a hair drug test, then you should know that this test can detect marijuana use up to 3 months. If it is blood test or a saliva test, the the detection time is up to 2 to 3 days in case of moderate users and up to 14 days in case of heavy users. After you know about the marijuana detection times , the next step is to detoxify your body. Stop using marijuana for at least 30 days if it is a urine test. Drink lots of water. When you drink a large quantity of water ,you urinate more often and the toxin present in your body is flushed out with your urine. Drinking fruit juices also helps. Another important marijuana detox method is exercise. As marijuana gets deposited in body fat, in order to pass marijuana test you must burn fats. Exercise is the best way to do so. Exercise will not only detoxify your body but will also make you slimmer. So,go for regular exercise. Also opt for a low fat and high protein diet comprising of sea food and eggs and vegetables. Another important marijuana detox method is going for sauna baths. Sauna baths makes one sweat. And all impurities present in the body are expelled out of the body with the sweat. So sauna bath is a good option to pass marijuana test. There are also many marijuana detox drinks available in the market. But these drinks are not very effective and so it is better if you stay away from these things. If you are going for a hair drug test, then you should be extra careful. Marijuana that you take enters the blood vessel and gets deposited in hair follicles. So it is very important to clean you scalp if you want to pass a hair drug test. Use a clarifying shampoo to wash you hair regularly. These are some of best methods you can use of detoxify your body. However the best way to pass marijuana test is not to do drugs at all. Clearly choosing a drug free lifestyle is good for your career and your family. This entry was posted on Friday, January 28th, 2011 at 21:37	and is filed under Drug Testing. You can follow any comments to this entry through the RSS 2.0 feed. You can leave a comment, or trackback from your own site. This post is very good I will definitely promote this website and I have seen one more website offering free amazon gift card codes I am going to promote this for amazon gift card code generator.